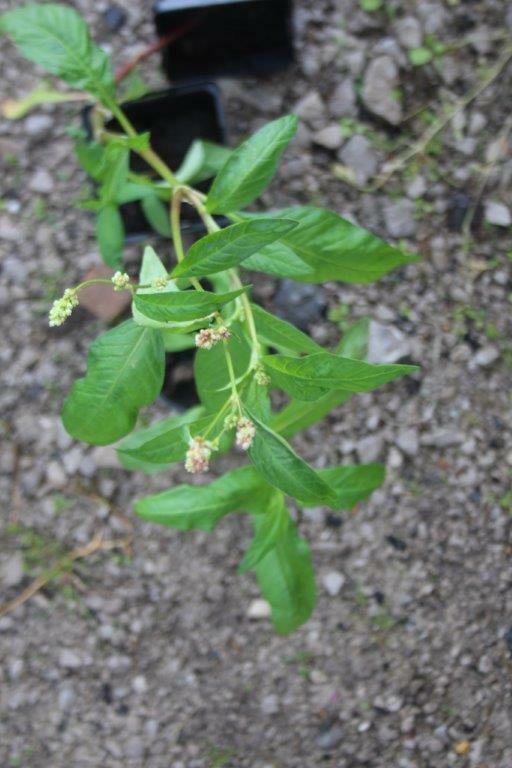 Persicaria bistorta (bistort, common bistort) is a species of flowerng plant native to Europe and north and west Asia. The new genus is Persicaria, but it still often described by Polygonum or Bistorta. P. bistorta is an herbaceous perennial growing to 75 cm (30 in) tall by 90 cm (35 in) wide. The foliage is normally basal with a few smaller leaves produced near the lower end of the flowering stems. The leaves are oblong-ovate or triangular-ovate in shape and narrow at the base. The petioles are broadly winged. The plant blooms from late spring into autumn, producing tall stems ending in single terminal racemes that are club-like spikes, 5–7 cm (2–3 in) long, of rose-pink flowers.The plant grows in moist soils and under dry conditions goes dormant, losing its foliage until adequate moisture exists again. There are various garden varieties that have been bred with larger flowers and different coloured leaves, but this is the original wild species. It is described in Skinner (Moths of the British Isles) as a larval food plant for very many species in captivity; which I assume means it is not the preferred food of all these species, but they will take it if there is nothing else. So it should be useful to Moth breeders as a back-up. 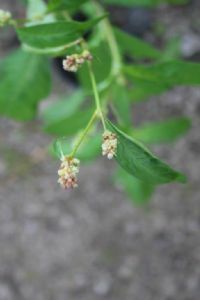 In Northern England the plant was used to make a bitter pudding in Lent from a combination of the leaves, oatmeal, egg and other herbs. It is the principal ingredient of dock pudding or Easter-Ledge Pudding. The root of Bistort can be used to produce an astringent that was used in medicine.